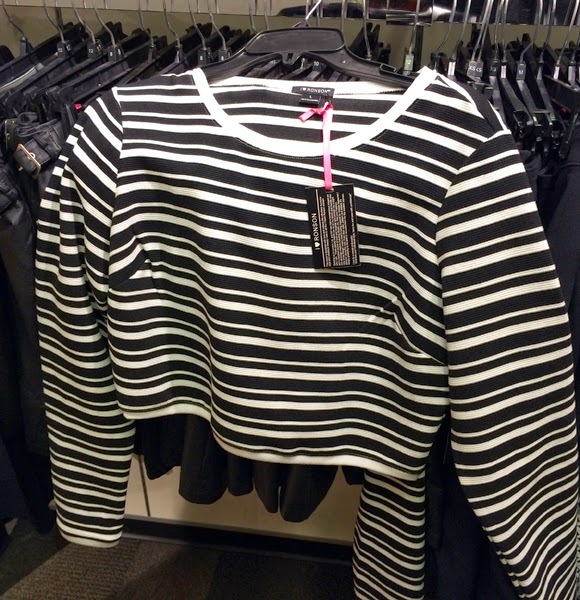 I can't tell you how many times in the past year I've passed a cute striped top and said to myself "NO, move on." I own a lot of stripe tops, so I put a moratorium on stripes. Then I saw this I ♥ Ronson crop top at Manhattan Mall last week. I know, it's perfect. I really do heart I ♥ Ronson. 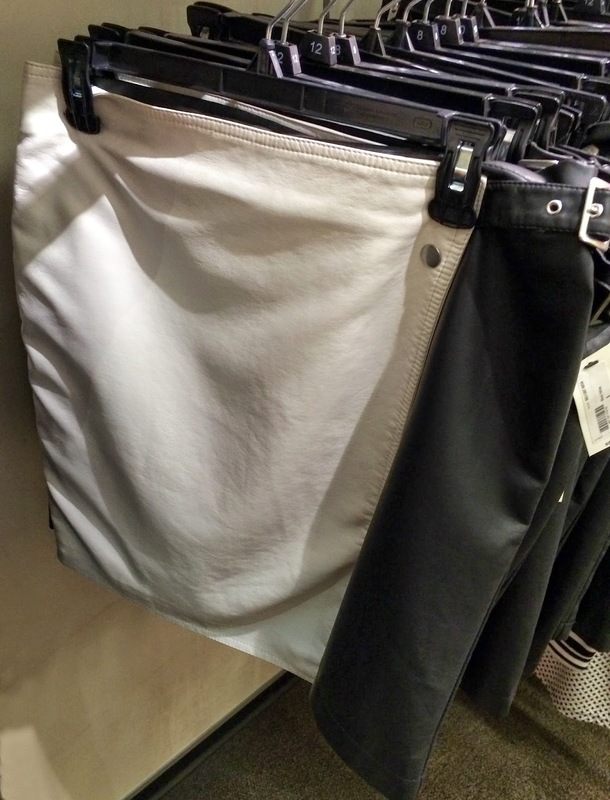 Also, there's a black-and-white faux leather skirt if you want to go nuts. Black-and-white is everything this season, in case you hadn't heard. 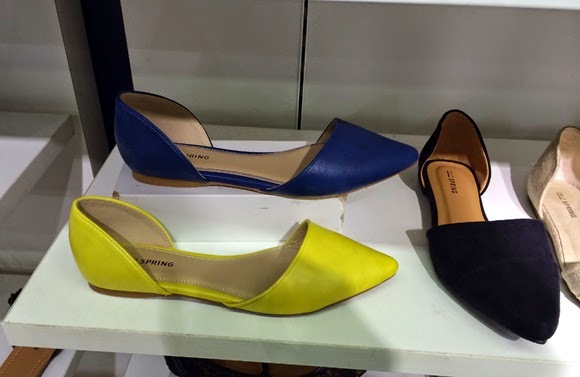 Then you're going to have to walk down to JCPenney's shoe department and pick up a pair of Call It Spring's d'orsay flats. I would totally do the yellow with black-and-white!